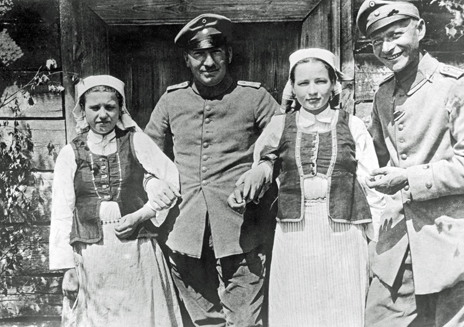 Much of what we think we know about the 1914-18 conflict is wrong, writes historian Dan Snow. 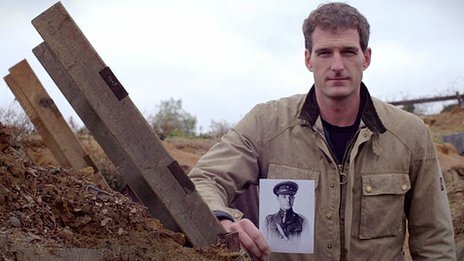 For the soldiers who fought it was in some ways better than previous conflicts, and in some ways worse.By setting it apart as uniquely awful we are blinding ourselves to the reality of not just WW1 but war in general. We are also in danger of belittling the experience of soldiers and civilians caught up in countless other appalling conflicts throughout history and the present day. 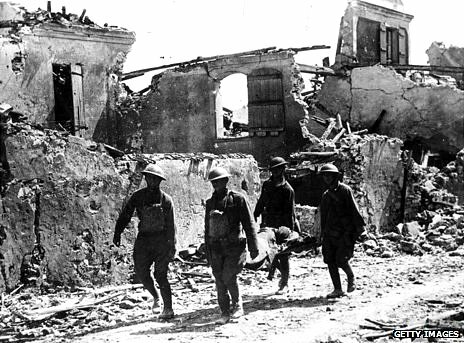 Fifty years before WW1 broke out, southern China was torn apart by an even bloodier conflict. Conservative estimates of the dead in the 14-year Taiping rebellion start at between 20 and 30 million. 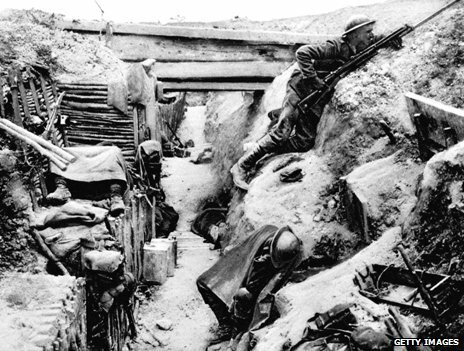 Around 17 million soldiers and civilians were killed during WW1. Although more Britons died in WW1 than any other conflict, the bloodiest war in our history relative to population size is the Civil War which raged in the mid-17th Century. It saw a far higher proportion of the population of the British Isles killed than the less than 2% who died in WW1. By contrast around 4% of the population of England and Wales, and considerably more than that in Scotland and Ireland, are thought to have been killed in the Civil War. In the UK around six million men were mobilised, and of those just over 700,000 were killed. That’s around 11.5%. In fact, as a British soldier you were more likely to die during the Crimean War (1853-56) than in WW1. 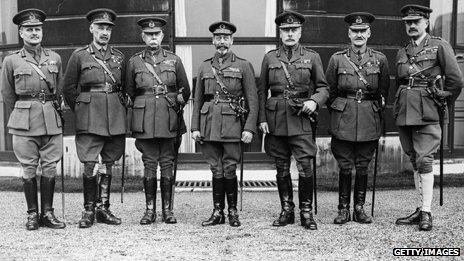 Some 12% of the British army’s ordinary soldiers were killed during the war, compared with 17% of its officers. Eton alone lost more than 1,000 former pupils – 20% of those who served. UK wartime Prime Minister Herbert Asquith lost a son, while future Prime Minister Andrew Bonar Law lost two. Anthony Eden lost two brothers, another brother of his was terribly wounded and an uncle was captured. Lions led by donkeys. This saying was supposed to have come from senior German commanders describing brave British soldiers led by incompetent old toffs from their chateaux. In fact it was made up by historian Alan Clark. During the war more than 200 generals were killed, wounded or captured. Most visited the front lines every day. In battle they were considerably closer to the action than generals are today. Naturally, some generals were not up to the job, but others were brilliant, such as Arthur Currie, a middle-class Canadian failed insurance broker and property developer. Rarely in history have commanders had to adapt to a more radically different technological environment. British commanders had been trained to fight small colonial wars, now they were thrust into a massive industrial struggle unlike anything the British army had ever seen. Despite this, within three years the British had effectively invented a method of warfare still recognisable today. 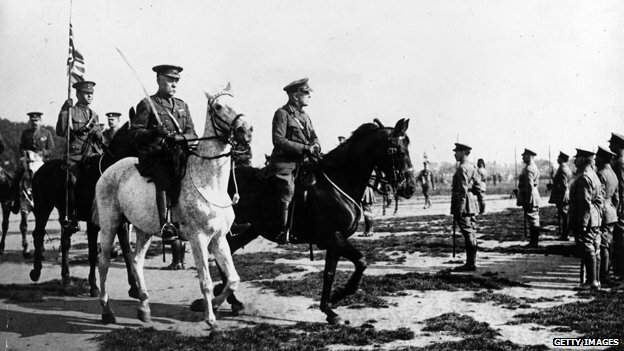 By the summer of 1918 the British army was probably at its best ever and it inflicted crushing defeats on the Germans. 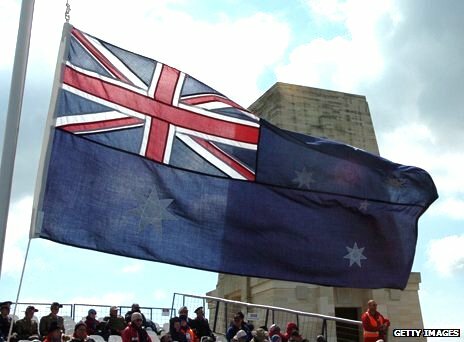 Far more British soldiers fought on the Gallipoli peninsula than Australians and New Zealanders put together. The UK lost four or five times as many men in the brutal campaign as her imperial Anzac contingents. The French also lost more men than the Australians. The Aussies and Kiwis commemorate Gallipoli ardently, and understandably so, as their casualties do represent terrible losses both as a proportion of their forces committed and of their small populations. Huge artillery pieces fired with pinpoint accuracy – using only aerial photos and maths they could score a hit on the first shot. Tanks had gone from the drawing board to the battlefield in just two years, also changing war forever. Swathes of Europe lay wasted, millions were dead or wounded. Survivors lived on with severe mental trauma. The UK was broke. It is odd to talk about winning. Germany’s army collapsed as a series of mighty allied blows scythed through supposedly impregnable defences. 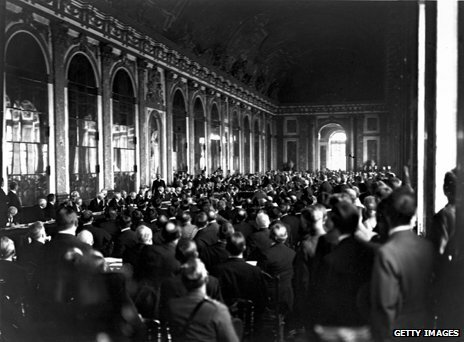 The treaty of Versailles confiscated 10% of Germany’s territory but left it the largest, richest nation in central Europe. The treaty was notably less harsh than treaties that ended the 1870-71 Franco-Prussian War and World War Two. The German victors in the former annexed large chunks of two rich French provinces, part of France for around 300 years, and home to most of French iron ore production, as well as presenting France with a massive bill for immediate payment. After WW2 Germany was occupied, split up, her factory machinery smashed or stolen and millions of prisoners forced to stay with their captors and work as slave labourers. Germany lost all the territory it had gained after WW1 and another giant slice on top of that. Like any war, it all comes down to luck. You may witness unimaginable horrors that leave you mentally and physically incapacitated for life, or you might get away without a scrape. It could be the best of times, or the worst of times. Many soldiers enjoyed WW1. If they were lucky they would avoid a big offensive, and much of the time, conditions might be better than at home. For the British there was meat every day – a rare luxury back home – cigarettes, tea and rum, part of a daily diet of over 4,000 calories. Absentee rates due to sickness, an important barometer of a unit’s morale were, remarkably, hardly above peacetime rates. Many young men enjoyed the guaranteed pay, the intense comradeship, the responsibility and a much greater sexual freedom than in peacetime Britain.